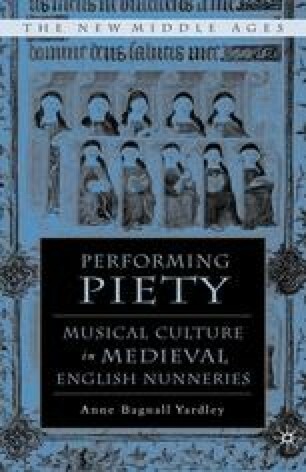 In the previous three chapters we have explored the musical life of nunneries through an examination of a variety of nonmusical sources—monastic rules, visitation records, ordinals, and other types of materials. In the subsequent chapters we will be examining primarily volumes in which there is musical notation. From these manuscripts we can not only confirm the participation of nuns in the musical portions of the service, but also learn more specifically what music they sing and how this repertoire fits into the overall liturgical musical picture.